A new report released by Oil Change International, Public Citizen, and the Sierra Club examines how a new wave of gas pipeline construction threatens to shunt serious risks and costs on to utility ratepayers. Utilities and gas companies are increasingly engaged in self-dealing practices to support a dangerous gas pipeline buildout in the Appalachian Basin. Lax oversight from regulators – particularly the Federal Energy Regulatory Commission (FERC) – is enabling companies to manufacture ‘need’ for projects while shifting financial risks from shareholders to ratepayers. Absent effective oversight, ratepayers could end up shouldering long-term costs for pipeline capacity they don’t need, while losing out on opportunities to take advantage of increasingly cheaper, cleaner choices. Today’s dynamic energy landscape is creating increasing uncertainty over the future demand for gas. This requires greater scrutiny than ever from regulators if the risks and costs of overbuild are to be avoided. The Federal Energy Regulatory Commission should immediately initiate a review of long-term market demand for gas and of the Commission’s granting of excessive rates of return on equity for pipelines. FERC should halt all permitting of interstate gas pipelines in the meantime, while these processes are pursued. Take a lesson from the demand not needed for new nuclear reactors. e.g. in Georgia. 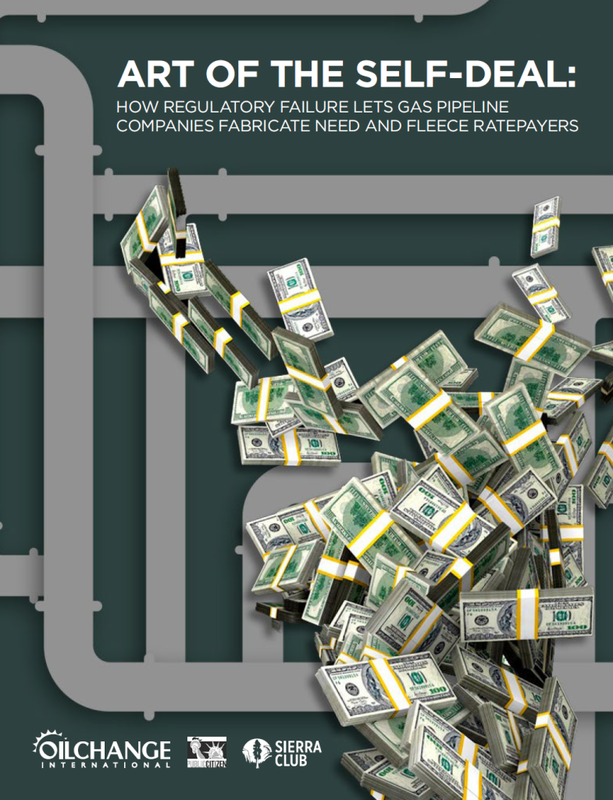 If co’s want to build new pipelines, the risks shd be on owners not ratepayers. Also, how much of this gas stays vin VA? Question: When will it be time to nationalize the whole oil industry?